When you have a life full of work, kids, clubs and other activities, it is easy for bills to blend into the pile of mail on the kitchen counter. That pile of mail, however, can cause you to miss payments that will prompt companies to charge you late fees. Developing a system to keep track of bills will not necessarily make paying bill more enjoyable, but it can, however, make it easier to stay organized and up-to-date on your payments. Know when your bills are due. Start organizing your bills by knowing when each bill is due. Mommys Idea Book suggests using a monthly calendar to write down the due date of the bills you receive on a regular basis. For example, if the rent is due on the first day of every month, write “Rent due” on the first day of every month in your calendar. Write down reminders for future bills you need to pay, such as medical bills, on the due date in the calendar. As you pay each bill, check it off in your calendar. Set up email reminders. To cover all your bases, set up your email calendar to remind you of bills' due dates. You can create a new event or reminder in these calendars and set them up to repeat on a weekly, monthly, quarterly or annual basis. That way you only have to enter the due date once and let the email calendar take care of the rest. Schedule days to pay your bills. Some people pay bills as soon as they arrive, other pay them twice per month or once a month. 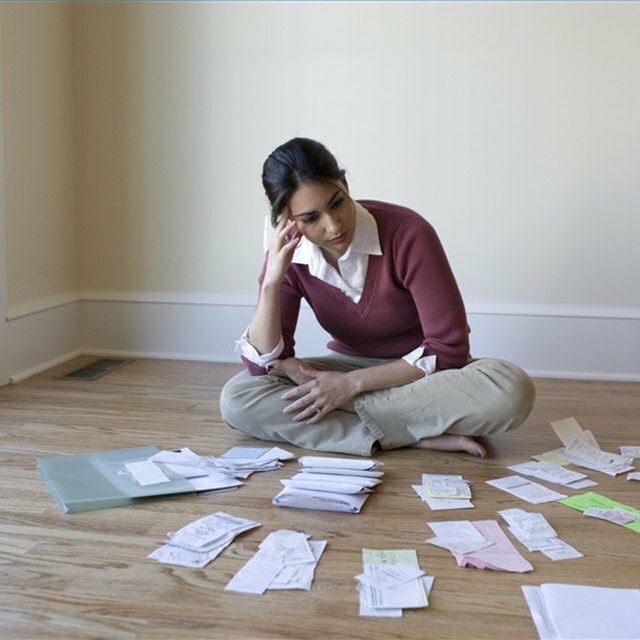 Figure out when it is best for you to pay your bills, and never stray from that schedule. Organize your bills. Use an accordion file folder to store the bills you need to pay and those you already paid. At the front of the accordion file, label a section “Bills to Pay.” Label the sections after that with the name of each month in a year. When the mail arrives, grab all bills and place them in the “Bills to Pay” section immediately. When you are ready to pay the bills, they will be all in one spot. Organize bills you already paid in the accordion file folder. MarthaStewart.com suggests storing bills by month instead of by type to reduce clutter. After you pay a bill, write the day you paid it across the top, including the amount paid and the number on the check used, and store it in the appropriate month. If you paid the bill online, write the confirmation number on it. Do not forget to include the days your yearly membership payments and insurance payments are due if you do not pay them on a monthly basis. Real Simple suggests using a 13-pocket accordion file folder.